HANG OUT. MAKE SOMETHING COOL WITH US. 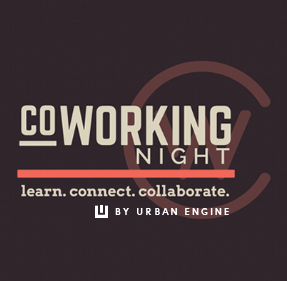 CoWorking Night is a weekly conference where members come to learn, connect, and collaborate. Each CoWorking Night, we host 10 different workshops covering topics in disciplines ranging from Software, to Hardware, Design, Marketing, Sales, etc. Open Huntsville is a directory of the people, groups, and events happening in Huntsville. It serves as the technological backbone to our programs and events, as well as a means of connecting with talented individuals who may be key to building a cohesive team. 4 Hours to Product is a recurring software design competition that involves members collaborating to rapidly innovate on new ideas. Held at CoWorking Night, 4HTP connects members of varying backgrounds to brainstorm new ideas for ways to solve a problem, write a business plan, build a product prototype, present their work, and be judged on the basis of how realistic their solution might be to the problem/market at hand.